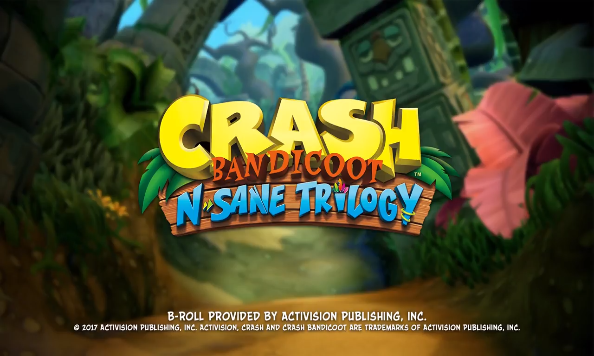 Fans can now get their hands on "Crash Bandicoot N Trilogy" playable PS4 demo as it fast approaches its release in June. It is also confirmed that the remastered compilation is exclusive to Sony's PS4 and it will also offer support for the company's latest console, PS4 Pro. The latest update on the release of "Crash Bandicoot N Sane Trilogy" indicates that players can now play a brand new demo for the game that Sony and Activision rolled out at select retailer stores. This gives new players a chance to get a taste of Crash's adventure before they finally decide to purchase the game. Gamers across the US, according to GameZone, have seen demo booths at select GameStop and Best Buy stores, which will let anyone to try out a playable demo for the PS4 game. It shows that both Sony and Activision are pretty eager to promote "Crash Bandicoot N Sane Trilogy", a few months ahead prior to its official launching. Back at PAX East gaming festival, fans of Crash saw a new build of the game, showing off better lighting and textures. A fan took to Twitter to share a comparison image between the new build and the one from PSX and said, "The beaches at N. Sanity Beach N. Sane just got more beautiful (Lighter: PSX, Darker: PAX)". Earlier, Activision also confirmed that "Crash Bandicoot N Sane Trilogy" will feature enhanced lighting and animations and newly-recreated cinematics including support for PS4 Pro. Meanwhile, some are hoping that the remastered collection will also release on non-PS4 platforms such as Xbox One and PC. But apparently, it is already a done deal that it will arrive as an exclusive title to Sony's current gaming console. Vicarious Games, the developer behind the development of "Crash Bandicoot N Sane Trilogy", said that the success of the remastered title's release will determine the future of a new Crash Bandicoot game. Crash is on his way to PS4 and PS4 Pro come June 30.